Injuries can happen because employers fail to provide the right kind of protective equipments during work. 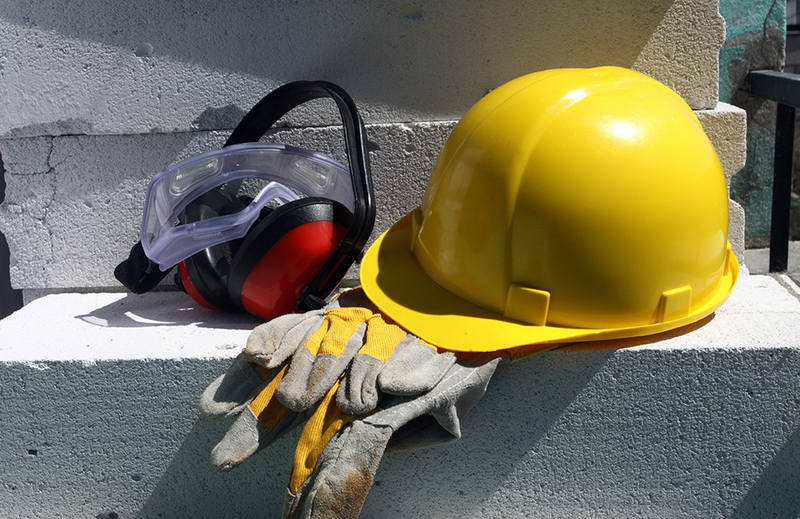 In some areas, personal protective equipment is needed to make sure that safety and health of workers can be ensured. Protective equipments should become standard accessories in the workplace. There could also be engineering solutions that allow for enhanced safety when operating machinery equipment. It is important for construction, mining and other related companies to find about work safety regulations in the area. Protective equipment is intended to be held or worn by workers or employees to eliminate or minimize risks in the workplace. Protective equipments in the workplace may include gloves, safety helmets, eye protection, high visibility clothing, safety harnesses and safety footwear. Masks are also essential to avoid inhaling dangerous substances and they may need to be insulated, weatherproofed and waterproofed to ensure longevity. Based on regulations, there are also things that we need to do with protective equipments. Protective equipments may need to be used to ensure that they are still suitable for workplace usages. After being used, protective equipments will also need to be stored and maintained properly. We should also read instructions about its proper usages during workplace environment. Supervisors will need to assess whether protective equipments have been used correctly by employees. Regulations often define whether specific protective equipments are appropriate for each working conditions. There are risks associated with specific workplace and we need to know whether protective equipments are able to deal with them. As an example, masks used in plantation will need to be thoroughly tested whether they can protect workers against pesticides and fine fertilizer dust. Grinding equipments may also allow workers to work at safer angles to prevent injuries. There’s no guarantee that the protective equipment will be able to adequately control or prevent risks involved. In some cases, protective equipments may even increase risks if improperly used. We should know how long the protective equipment will need to be worn and whether it requires some degree of physical effort. The protective equipment shouldn’t also impair the visibility of the wearer, because this will also increase risks in the workplace. Goggles, visors, face shields and safety spectacles should protect our eyes against dust, metal splash, vapour, gas and intense light. Helmet and bump caps should protect our heads against falling, bumped head, flying objects and hair entanglements. Respirators, air fed helmets and breathing apparatus should protect us against oxygen deficient atmosphere, gas vapour and dust. Boiler suits, overalls, chain mail aprons, specialist protective clothing and high visibility clothing should protect our bodies against adverse weather, temperature extremes, chemical splash, small metal projectiles, high pressure liquids, penetrations, impacts, clothing entanglement, abrasion and various impacts. Gauntlets, gloves, wrist cuffs, mitts and armlets should protect our hands and arms against temperature extremes, abrasion, punctures, cuts, chemicals, impacts, skin infections, electric shock and various contaminations. Safety boots and work shoes with strengthened toe caps could protect our legs and feet against cold weather, contaminated water, slipping, punctures, cuts, electrostatic build up, abrasion, chemical splash, sharp metal objects and falling objects.